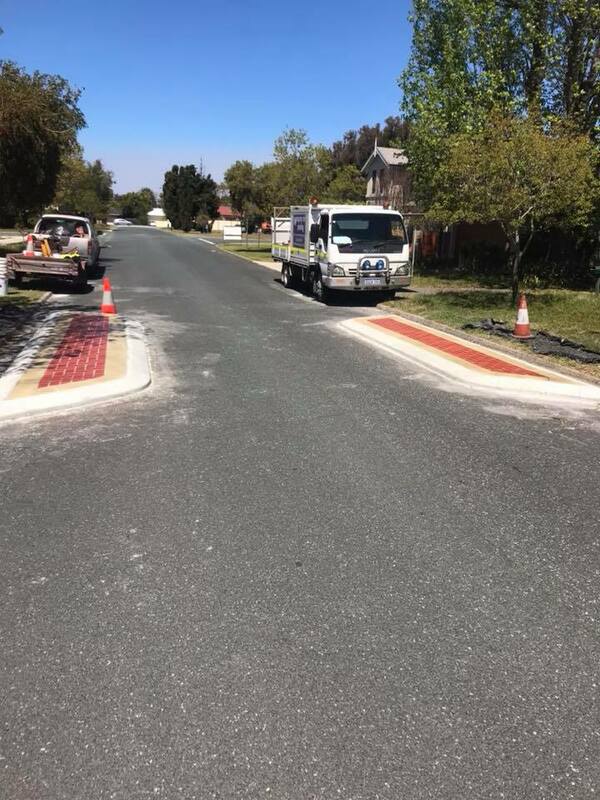 When it comes to commercial resurfacing, our team has a wealth of experience that can be utilised across a variety of projects, including but not limited to, speed bumps, traffic calming islands and school pedestrian refuge islands. 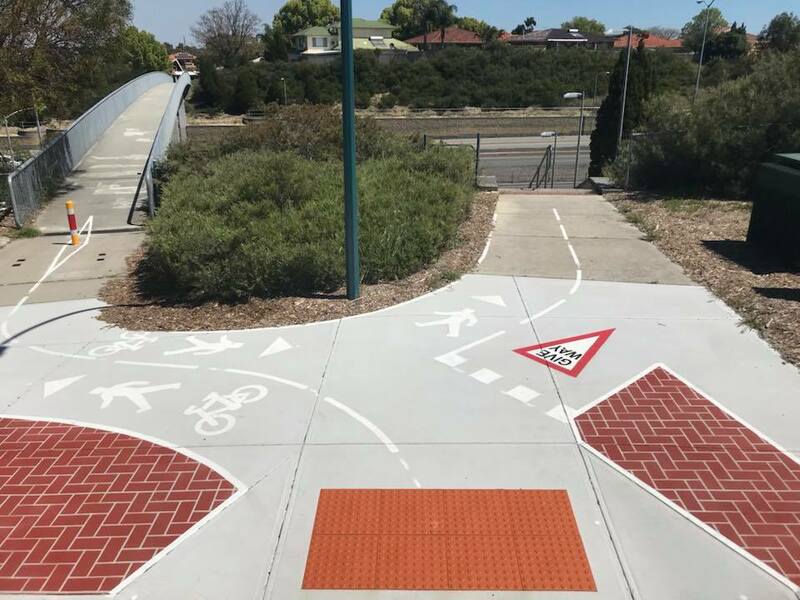 From start to finish, we work with commercial and government authorities to increase road and pedestrian safety, while also making traffic islands and the like more visible, longer-lasting, and of course, aesthetically pleasing. One of the reasons we’re a reputable and sought-after commercial resurfacing provider is that our commercial-grade, non-slip finish can be applied faster, is more economical, and can achieve better results than most traditionally paved surfaces. 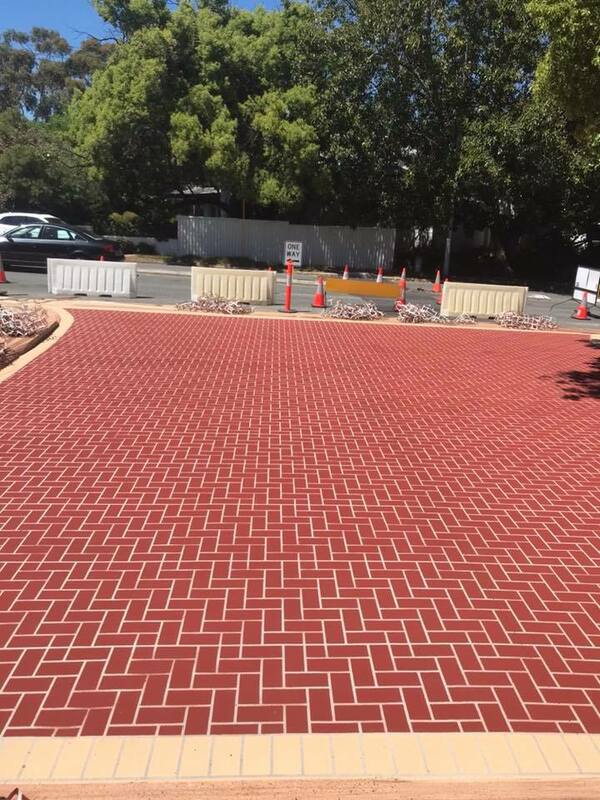 As you can see, the colours and finishes that can be achieved with our state-of-the-art spray on paving techniques are truly eye-catching. However, when it comes down to it, our execution can largely be attributed to the stringent attention-to-detail of our staff. Regardless of how big or small the projects we’re completing are, we use the same quality materials/products, and apply the same level of workmanship. 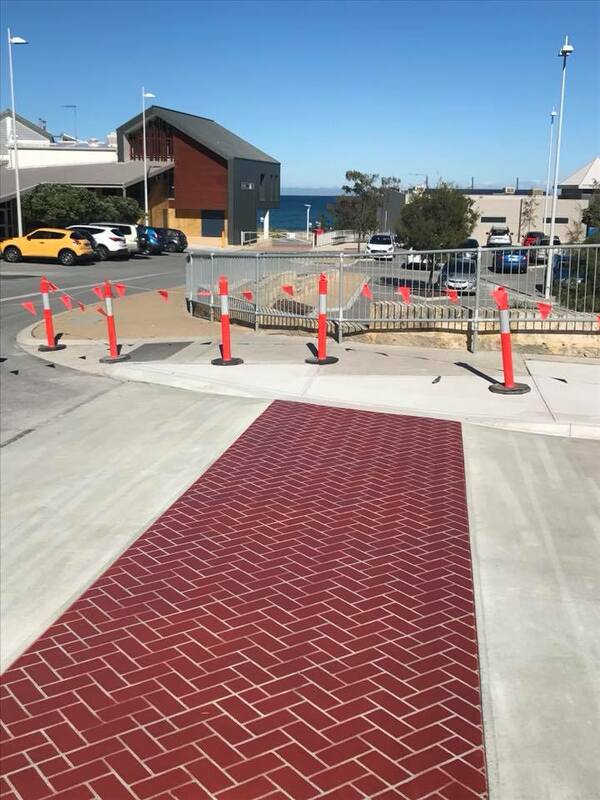 It doesn’t matter if we’re just re-surfacing a traffic island, or completing larger-scale projects, you can expect to receive a consistent quality of work and service. To learn more about the type of projects we specialise in, contact the team at Wespray On Paving. We can help guide you through the process and ensure your project is completed to exacting standards.